I was bored one night during my military service in 2010 and stumbled upon Sailor Moon on YouTube. During the course of two months I watched all five seasons. This was my first contact with anime in adult age. I also found a cosplay skit video and thought “that looks fun, I want to do that”. I contacted a friend who I knew was into cosplay and she helped me get started on my cosplay and convention journey. 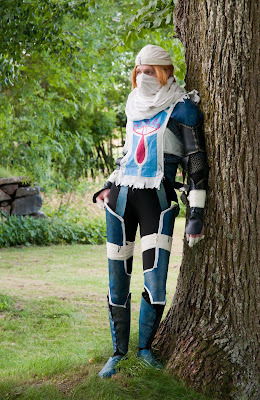 I started to build on my first cosplay in April 2010, and I went to my first convention in June 2011. What is your favorite series to cosplay from? I don’t really have a favorite series. 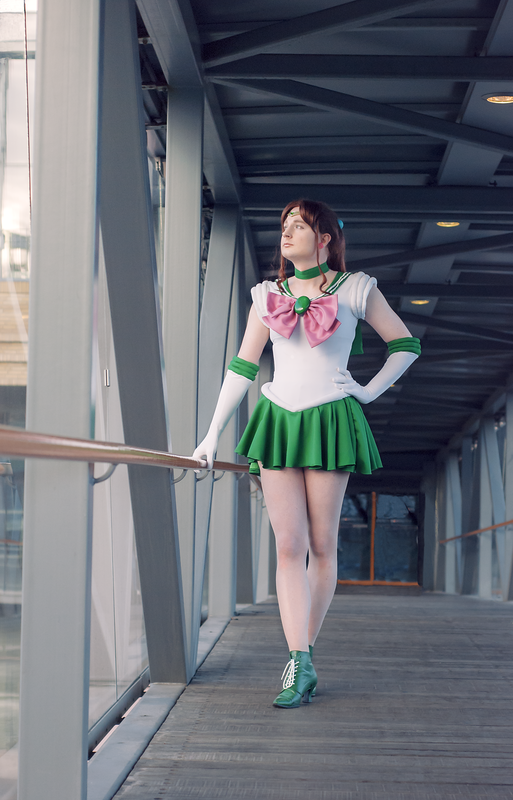 I chose my cosplay-series first and foremost on if I like the series, or if the series brings me nostalgia. Then I chose the character based on if I like the design and personality, and lastly on if I think I can actually make a cosplay I would be happy with. What is you favorite cosplay and why? That is such a difficult question because they are all my favorites, but for different reasons. Sheik is my favorite because she was my first, and the one with the best craftsmanship. Sailor Jupiter is my favorite because it’s so fun to crossplay. Mew Two is my favorite because he’s badass and is the one that has opened the most doors for me. 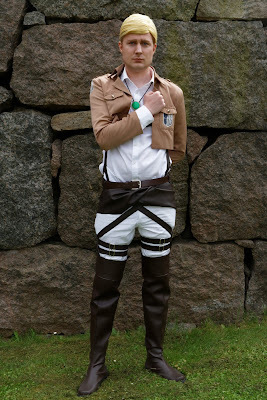 Erwin is my favorite because he’s my most comfortable cosplay yet. 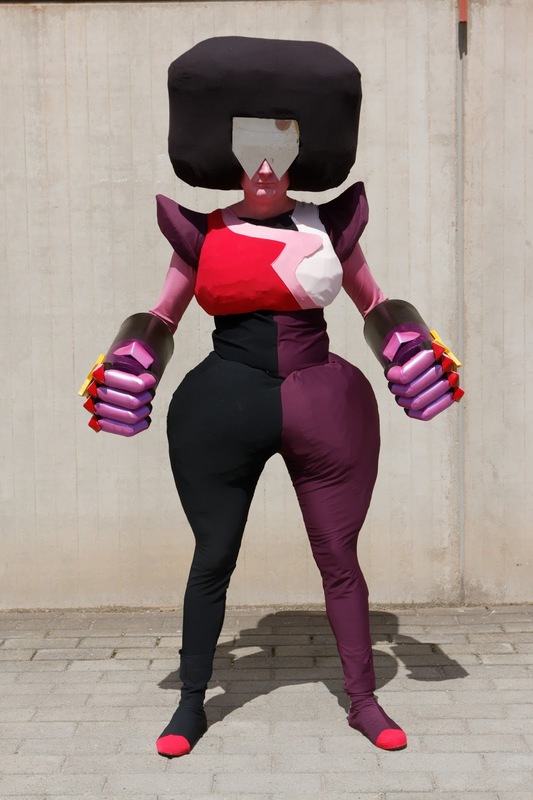 Garnet is my favorite because it was my first cosplay from an active fandom. What is the cosplay scene like in Sweden? Is it big or small? How wide-spread is the hobby? The Swedish cosplay scene has traditionally been quite small, everybody knows each other, but has in the last few years grown quite a lot. A guesstimation would be that there are about 5000 more or less active cosplayers in Sweden, but that number is growing every year. 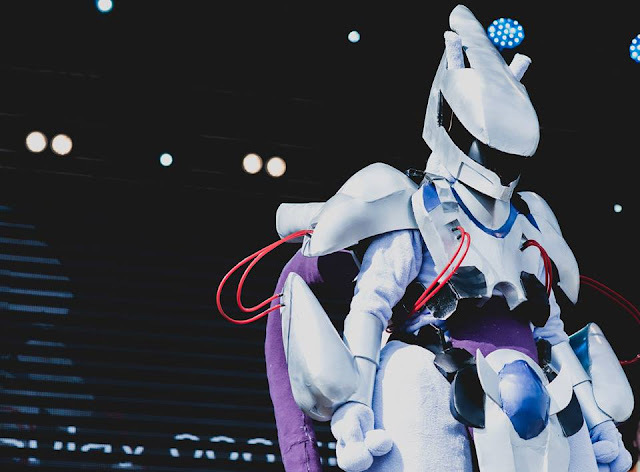 Cosplay has also taken its first steps into mainstream media in the form of the most prestigious competitions being broadcast live on national television. Live on television? That's really cool! Which contests are broadcast? That would be The Swedish Cosplay Championship, and The Nordic Cosplay Championship. Where the best cosplayer in Sweden/The Nordic are decided. Have you ever competed in one of those? I have not. 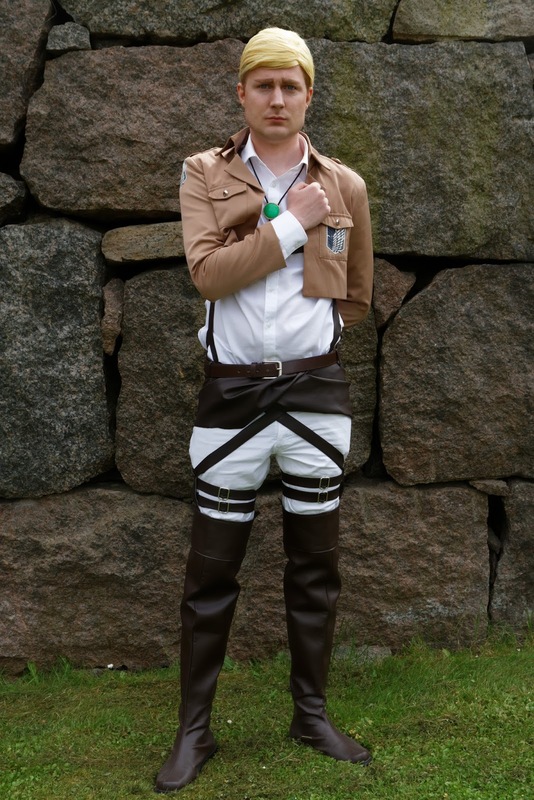 For a while is was a dream of mine to compete in The Swedish Cosplay Championship, but not any more. The thought of competing on any level no longer interest me. Competitive cosplay have become too serious and professional lately, it has lost the ”we are all nerds in costume”-charm in my eyes. And with the introduction of the televised broadcasts, the contests themselves have become more focused on having a cool show, but have lost the ”nerdy fandom”-charm. I have judged a few high-level competitions, including Master and The Swedish Cosplay Championship, and I’ve seen first hand how extremely skilled these cosplayers are. I can never compete with that. What is cosplay to you? What do define as the core or heart of cosplay that the "too serious" or the broadcasters do not understand? Cosplay to me used to be about accuracy and wow-factor, to be as impressive as possible. But now it’s all about community and fandom. 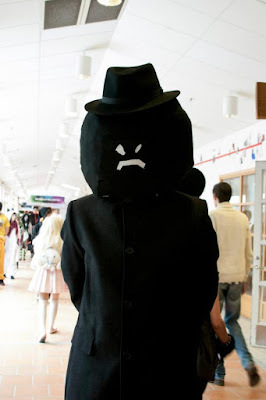 It’s a way to say “I like this thing, and I express this by dressing up as a character from said thing”. It’s about spreading happiness to those around you. And I feel that competitions today have lost this aspect of cosplay. Today everything must be so cool and artistic. A Swedish cosplay- and convention-profile once said that there are three kinds of cosplayers; those who cosplay for competitions, those who cosplay for photoshoots, and those who cosplay for fun with their friends. And I agree. Those are all valid reasons to cosplay, it’s just that I have lately shifted away from the competitive side and more towards the “fun” side. What has been the most fun moment you have had? I was part of the Cosplay Chess at NärCon Summer 2013. My brother stands on the board as Giovanni from Pokémon. He is ordered to take out Grell Sutcliff. Giovanni decides to summon his strongest Pokémon. My theme song starts playing from the speakers. I step forward from behind the stage in my Armored Mew Two cosplay. The audience goes crazy. It’s luck that I wore a full-cover helmet, because I smiled so much! The fight is over in a few seconds, but two years of work on this cosplay was so worth it for that moment. Skip to 3:34 to see Mew Two! Being a previous competitor, what advice do you have for someone wanting to compete? My advice would vary depending on what your goals with competing are. But a general advice I would give, no matter the goal, is to have a plan and have fun. Know what you are going to do on stage, but don’t forget to have fun, if you don’t have fun then the audience won’t have fun. Don’t focus so much on winning, focus on having a great time, talk to people back stage, make new friends. The competition will be over after a few hours, but it’s what you bring with you from it that’s important (and I’m not talking about prizes). If you compete on a higher level (master, or the national championship) : Never think “no one will ever see this”, because the judges will see it. The overall look is generally more important than a single small detail, but if the competition is though it’s these small details that makes the difference. For props and armor, the most important part is the surface texture, finish, and paint job. As a judge I do not want to see the worbla texture, the foam bubbles, or the 3D build lines. When on stage you must entertain the audience in some way while staying in character. It does not have to be funny, but it should grasp their attention. Never just walk around and do poses or “speaking” a monologue. Bring something extra, surprise us. Fun Fact: Anders Sheik build inspired VFire's Sheik build! That is great advice and smart too. What sort of advice do you have for someone just starting to Cosplay and they just want to have fun? First and foremost: find your local cosplay community (they most likely have a Facebook group). There you will find other cosplayers from your area that can help you find conventions and meetups, give you advice on making your first cosplay, and you might even find people to cosplay with at the next con. Just remember that no one makes a great cosplay on their first try, so don’t beat yourself if things don’t turn out the way you imagined them. A cosplay does not have to look great for you to have fun, and you can take the things you learned and make a slightly “better” cosplay next time. Don’t compare yourself to others, their cosplay might look great but they probably have years of experience and access to tools you can only dream of. So make what you can with what you have, but remember that you don’t have to be accurate to have fun. Fun comes from the people around you. Speaking of people: if you can, find others to cosplay with. Cosplay is a lot more fun in a group. Finding people can be difficult though, but look for people cosplaying from the same series in your local community. Or maybe the convention has meetups you can attend? I met my first cosplay friends through a meetup at my first convention. While at the con; be active, take part in activities, and get to know people. You are all nerds in costumes, and your circle with cosplay friends will grow for every convention you go to. One last question. If you could visit any country which would it be? Since I’ve never been outside Sweden I would be happy to visit any country at all outside The Nordic, preferably to experience their culture. But if we are talking about cosplay, then I’d love to visit The United States. From what I’ve gathered on the Internet your conventions are very different from the ones we have here in Sweden, so different that I often can’t relate to con-vlogs and stories told by American cosplayers. I’d love to experience your cosplay-/convention culture first hand.